Reds president of baseball operations Walt Jocketty said last month that he hoped to move the hard-throwing left-hander before this week’s winter meetings in Nashville, Tennessee. Last season the Dodgers finished 19th in MLB with a 3.91 bullpen ERA and 20th with a .249 opponents’ ERA by the bullpen. The Dodgers’ 21 blown saves were tied for fourth-most in the NL last season. 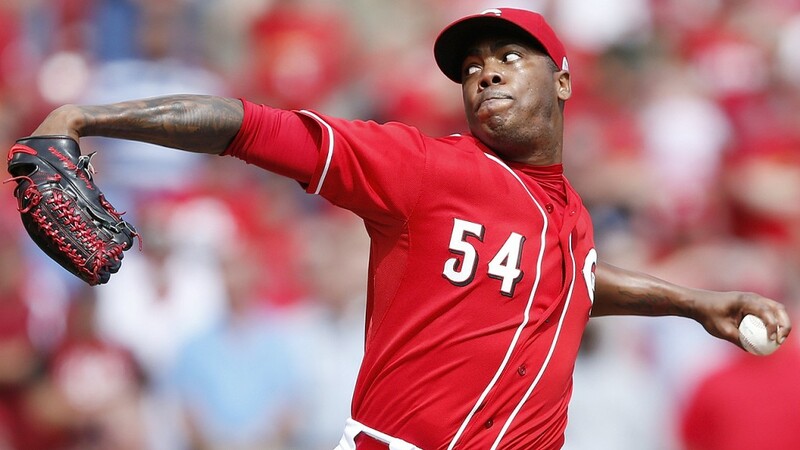 Chapman posted a 1.63 ERA with 116 strikeouts in 66 1/3 innings and 33 saves for the Reds in 2015 , and has compiled 546 strikeouts in 319 career innings. Pairing Chapman with incumbent closer Kenley Jansen would almost certainly make their eighth- and ninth-inning combination the best in baseball. They reached an agreement Sunday with six-time All-Star Chase Utley, who will return to them in his newfound role as a backup infielder, according to a person familiar with the situation who spoke under the condition of anonymity because the contract was being finalized.